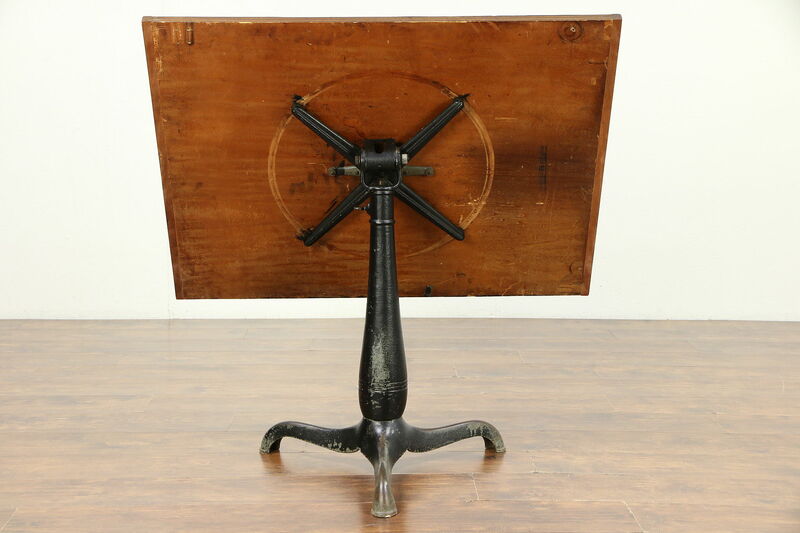 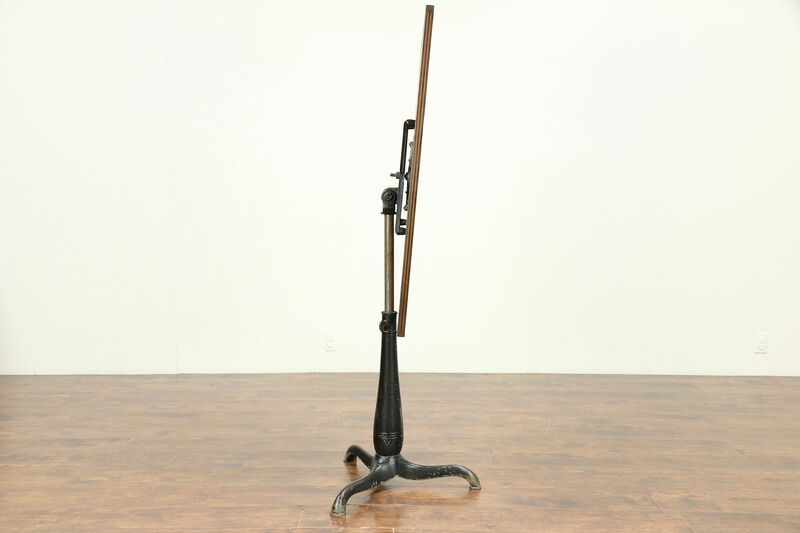 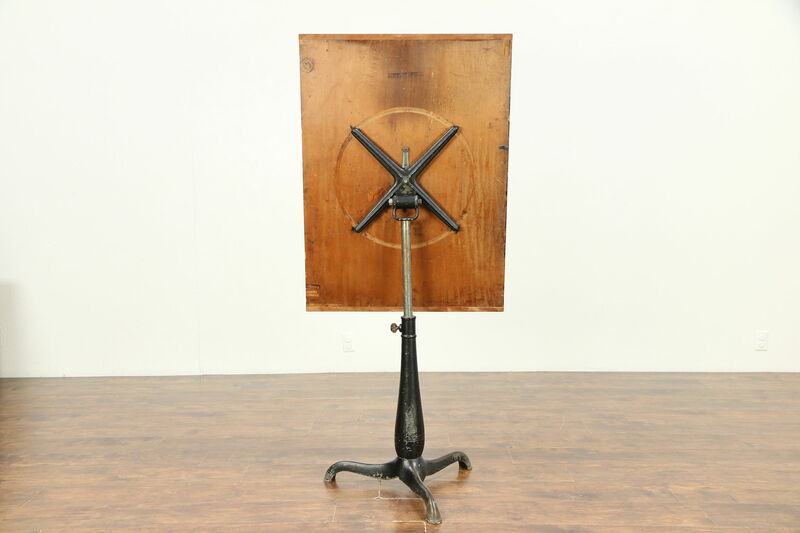 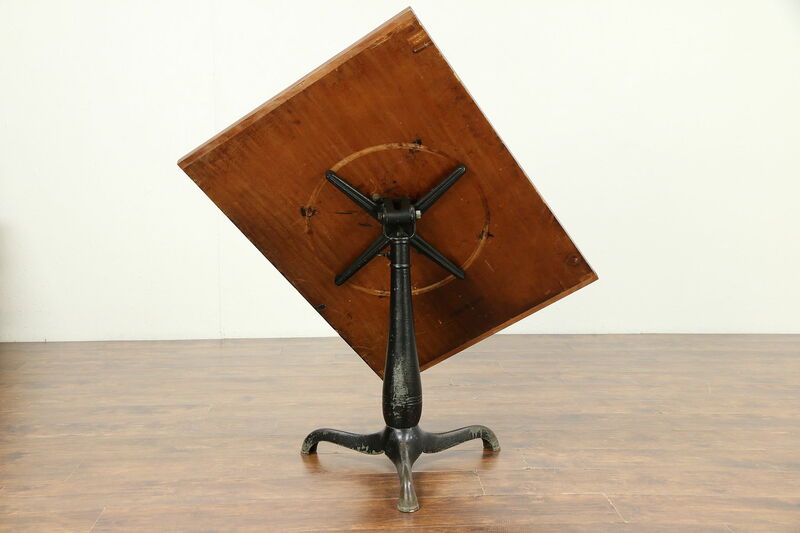 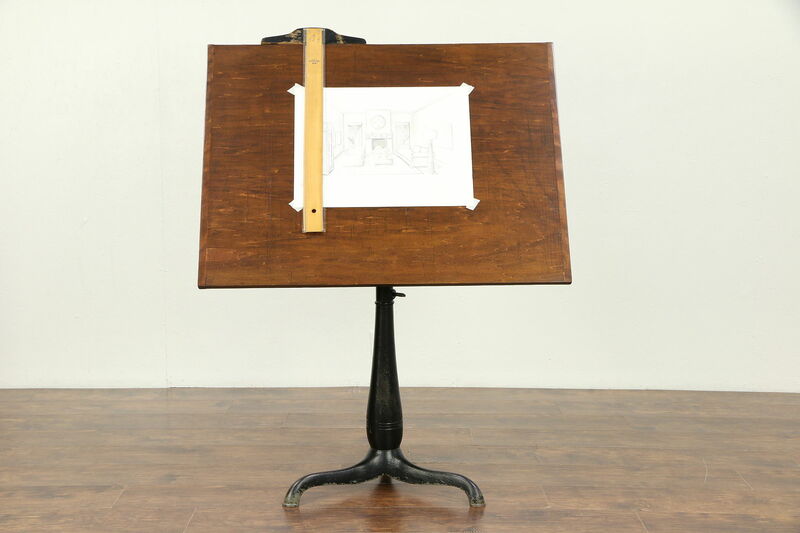 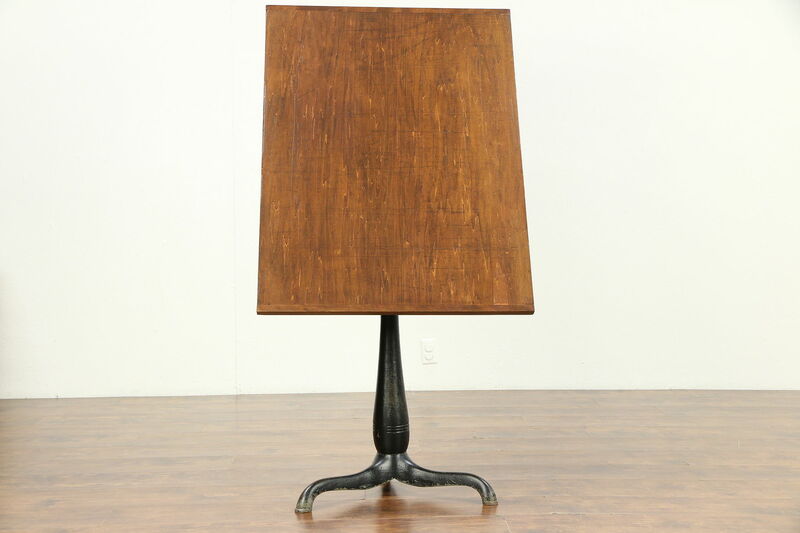 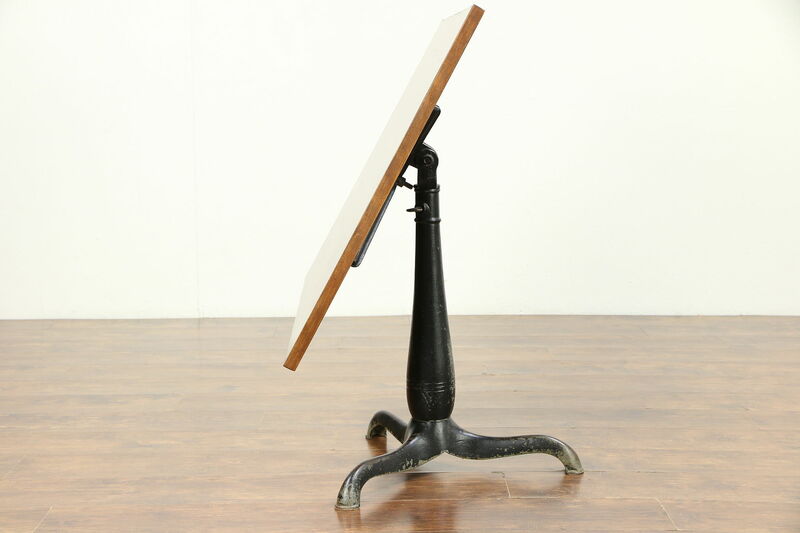 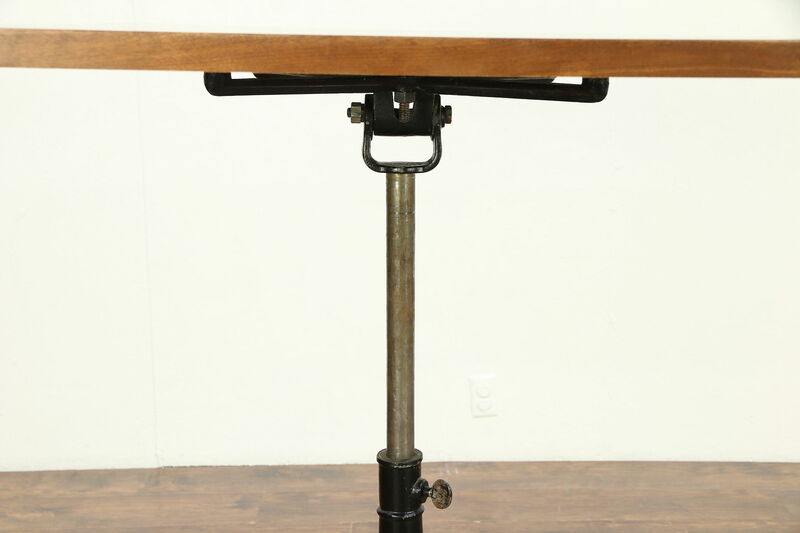 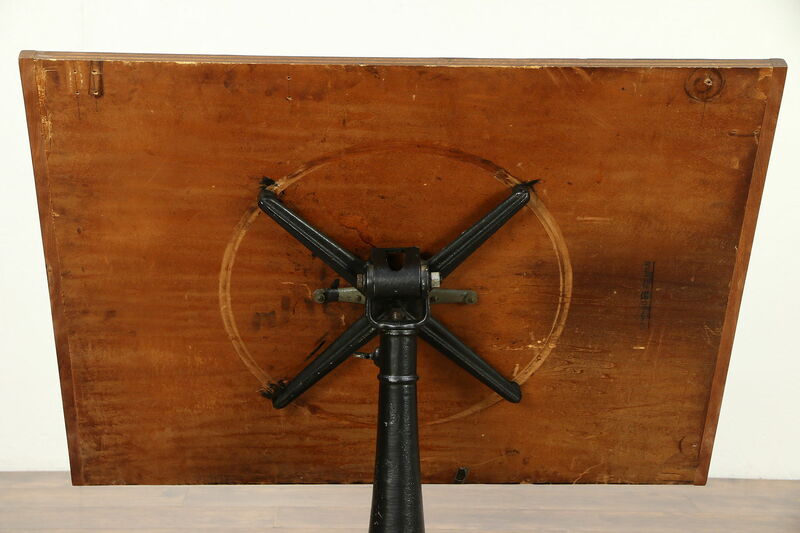 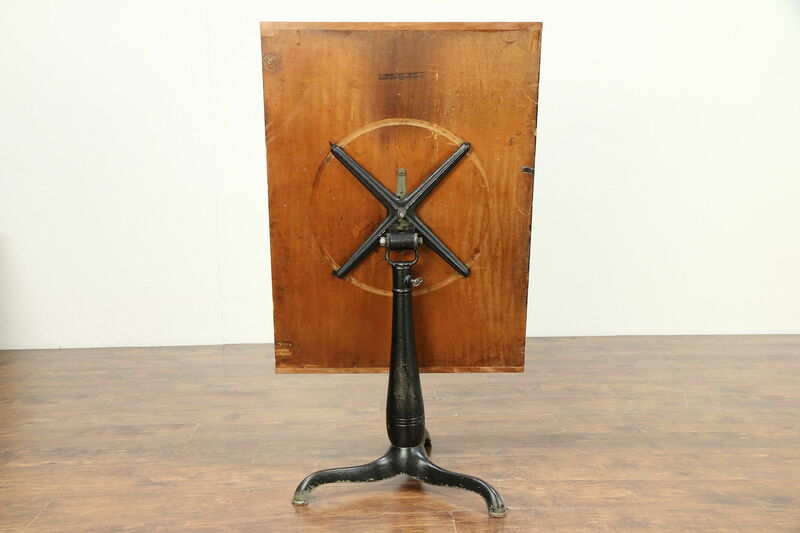 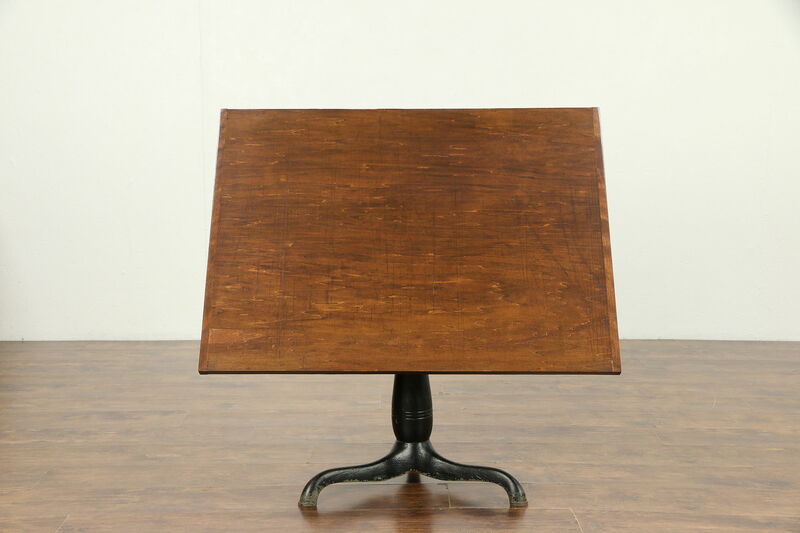 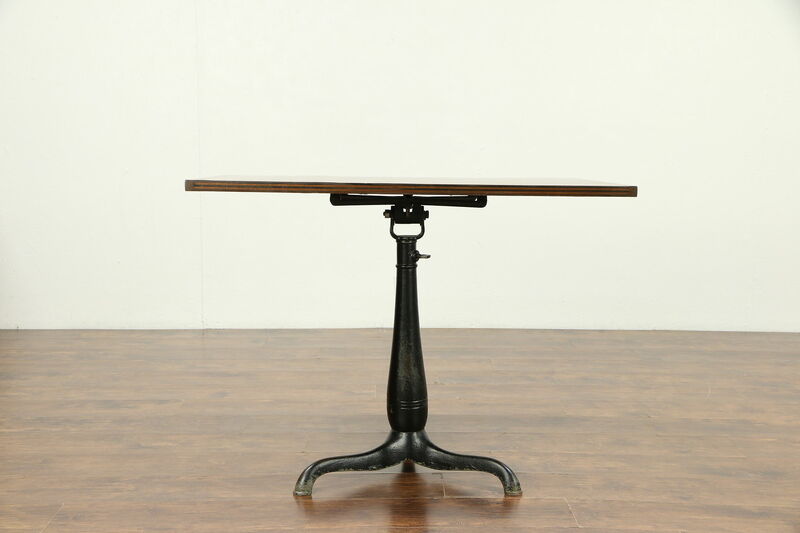 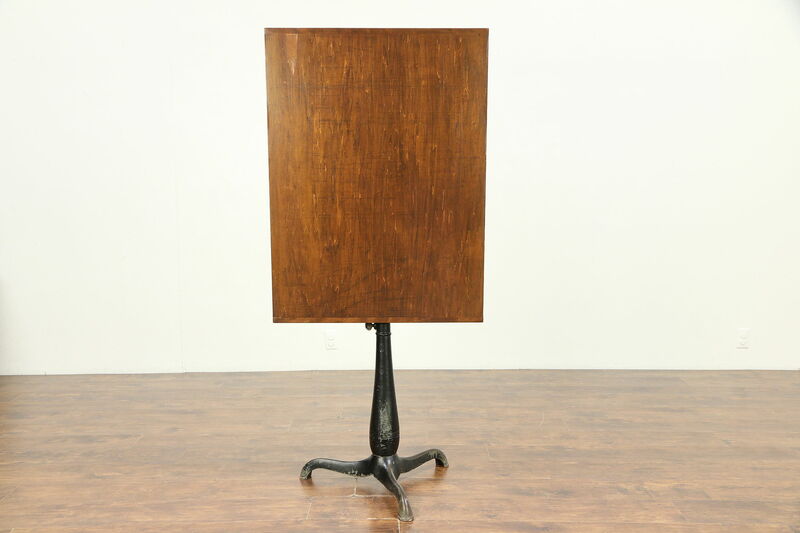 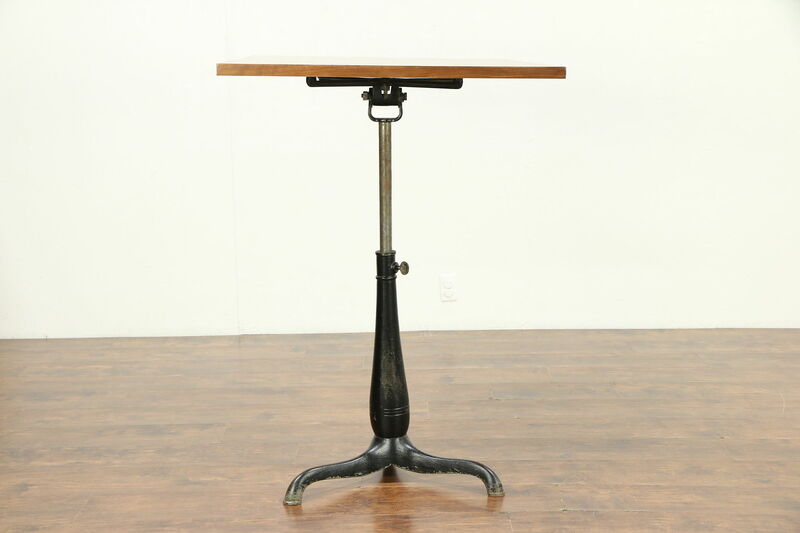 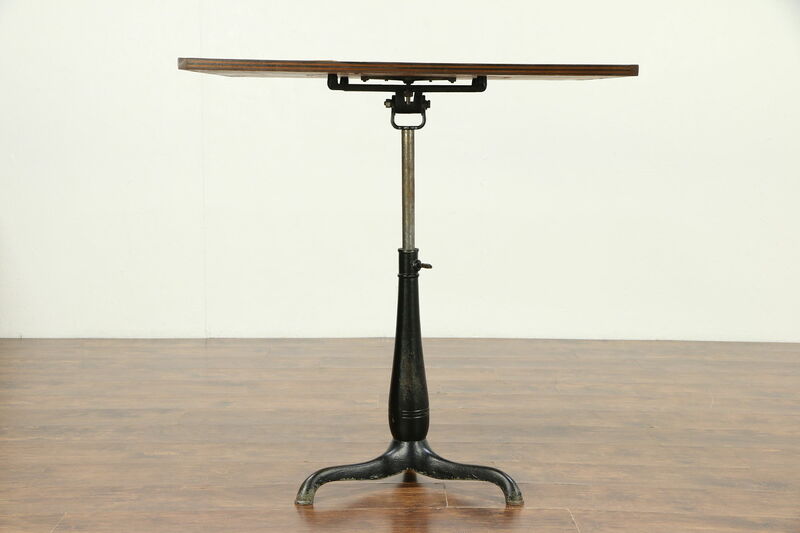 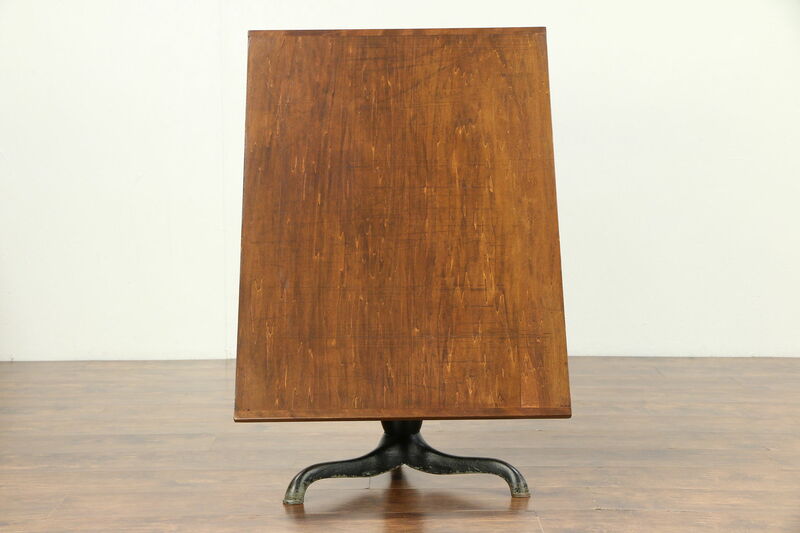 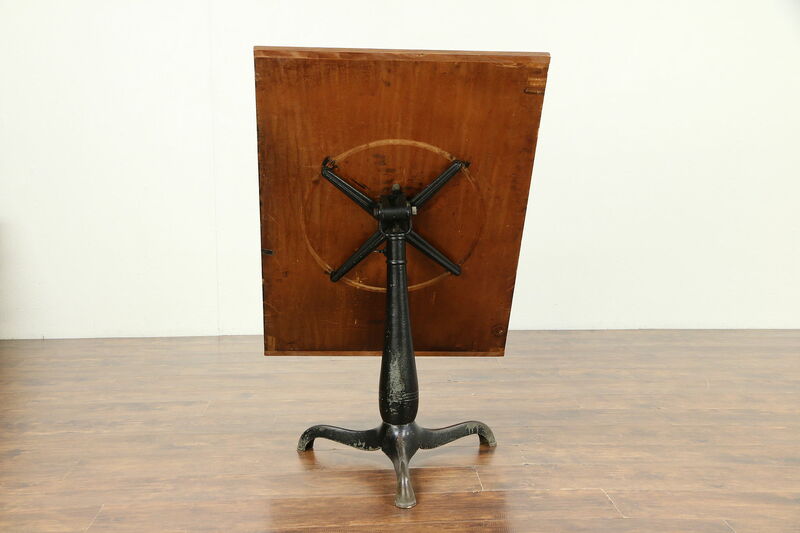 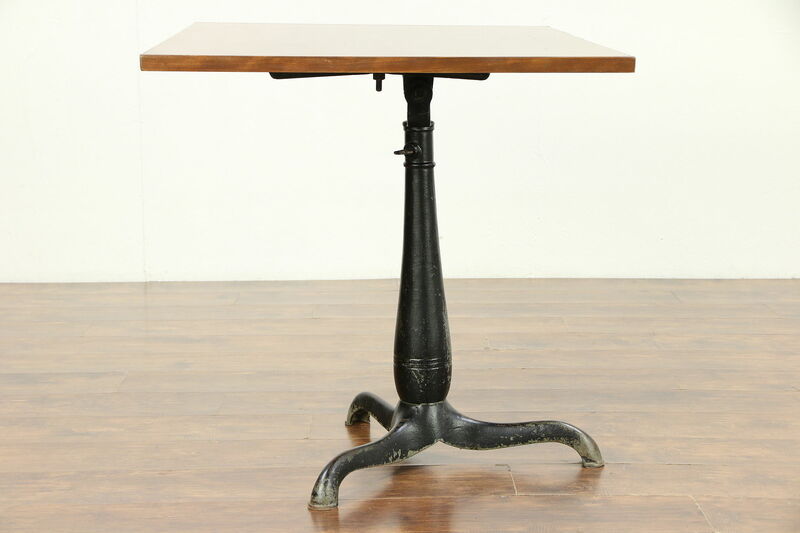 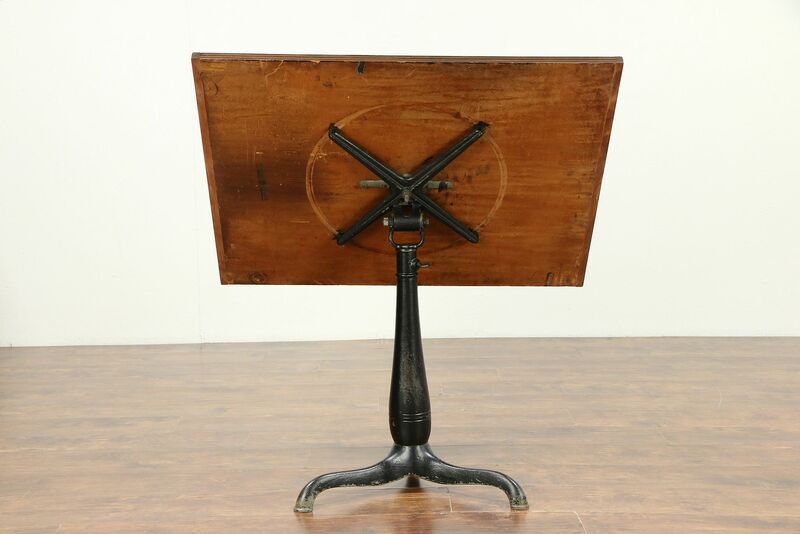 A 1920's drafting table or artist desk is adjustable in every direction, and could function as an artist's drawing table, kitchen island or wine and cheese serving table as well. 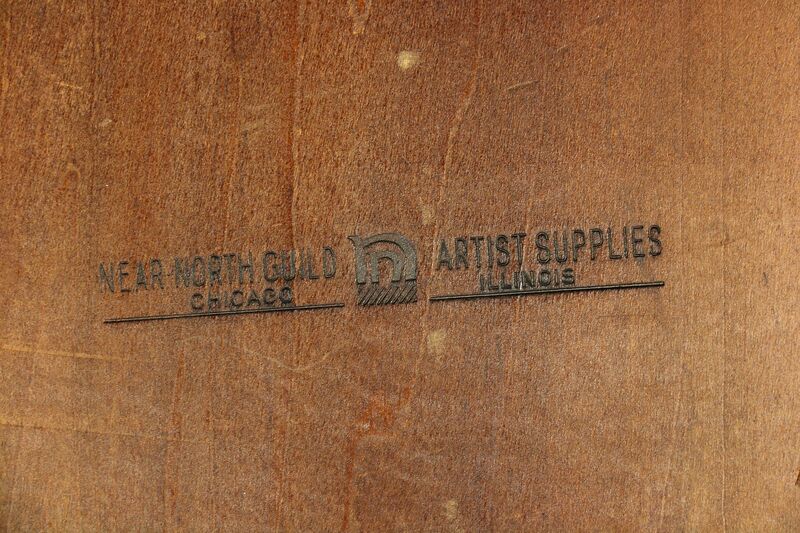 The stamp underneath reads "Near North Guild Artist Supplies, Chicago, Il." 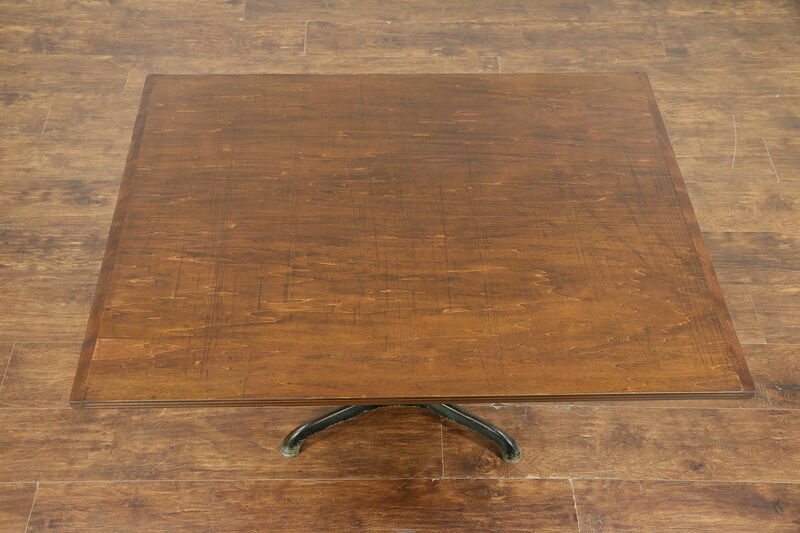 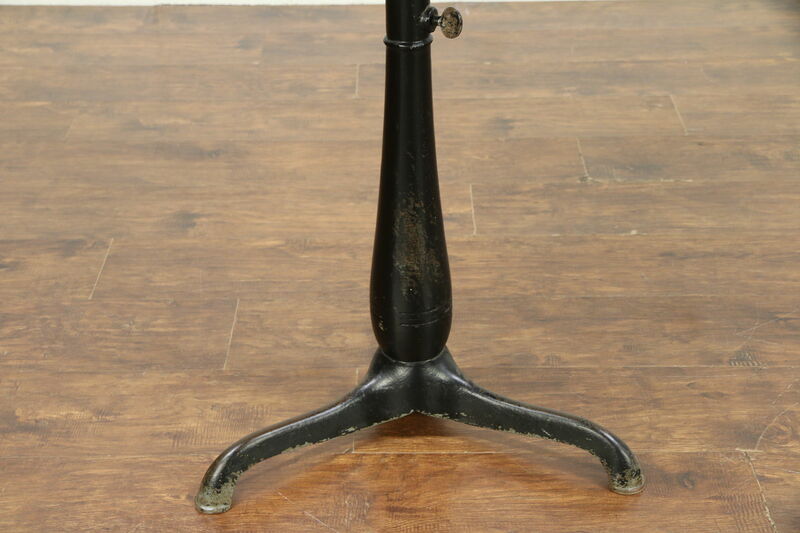 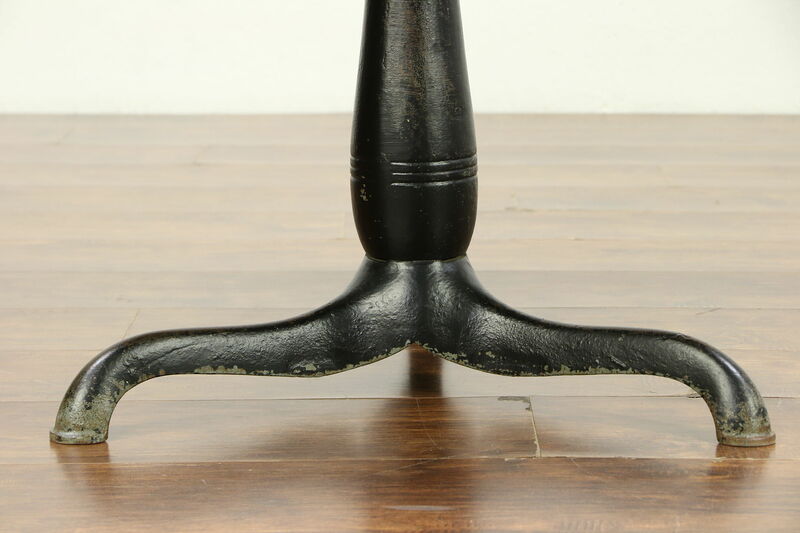 The restored finish on the maple top is in excellent condition, preserving just enough drafting lines and wear at the edges for a little antique character, see photos.The maple top has a swivel mechanism. 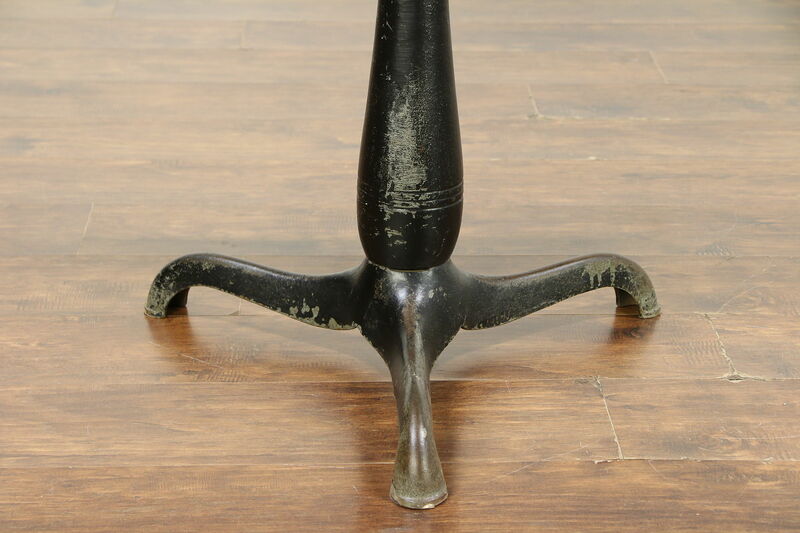 The cast iron base is sturdy and has worn old paint. 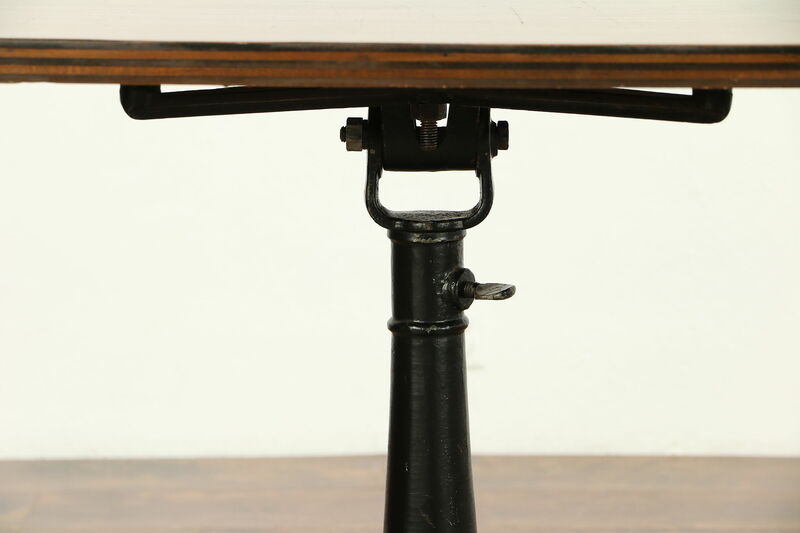 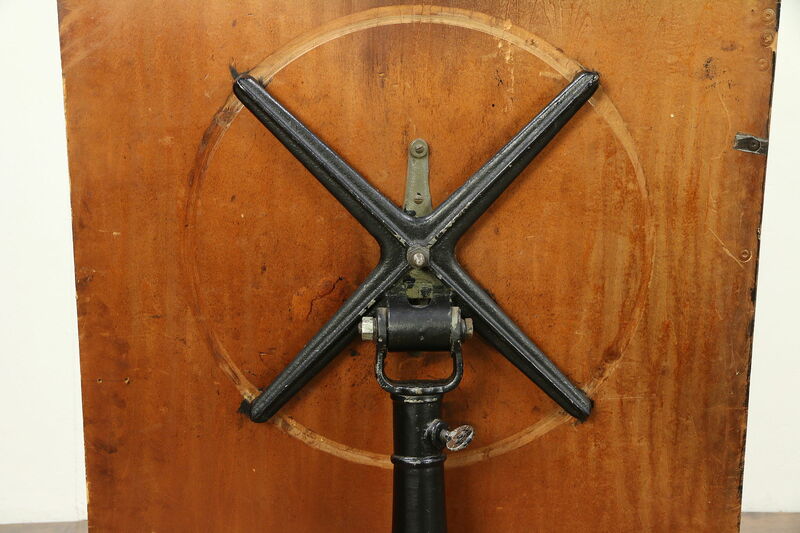 Iron mounts and bolts adjust height and tilt of the top. 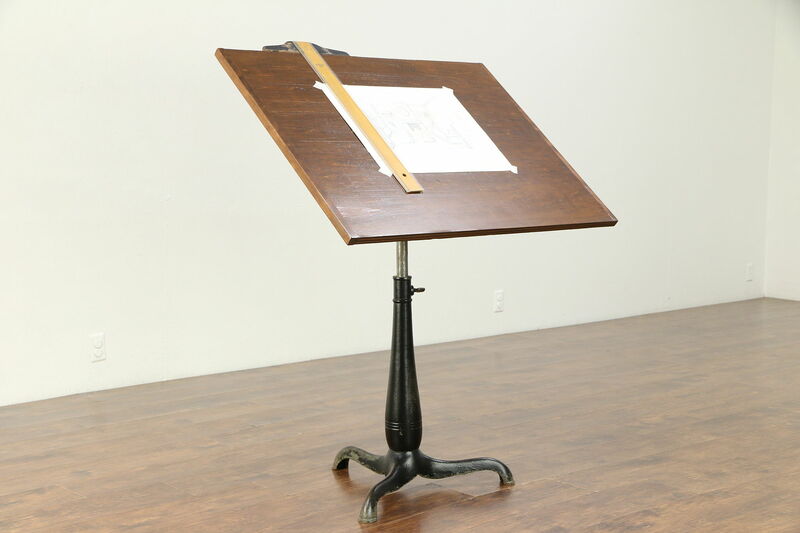 Measurements of the desk top are 41" by 38," and when adjusted to flat position, height adjusts from 33" to 45" tall.